I’m on a desperate backpack search! The Mr has a backpack that he has had for years and I mean YEARS! He had it long before I met him which was 9 years ago. 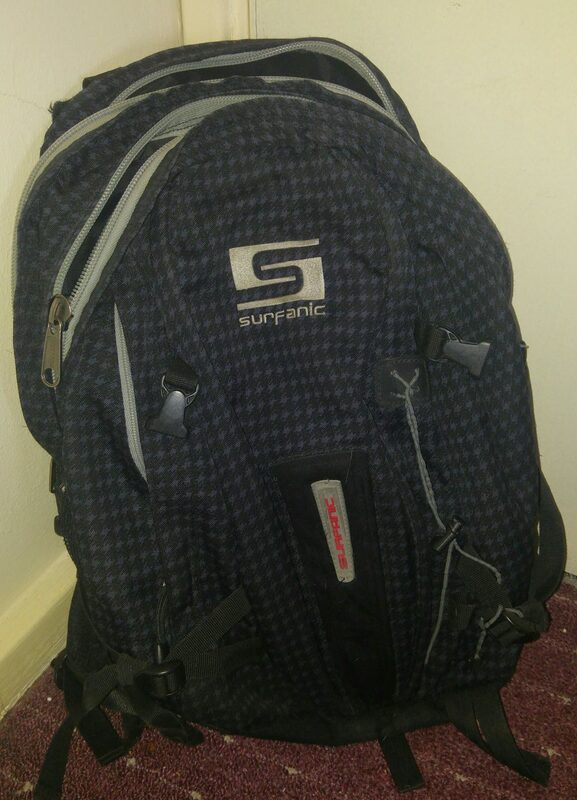 It is just a simple looking black Surfanic backpack. 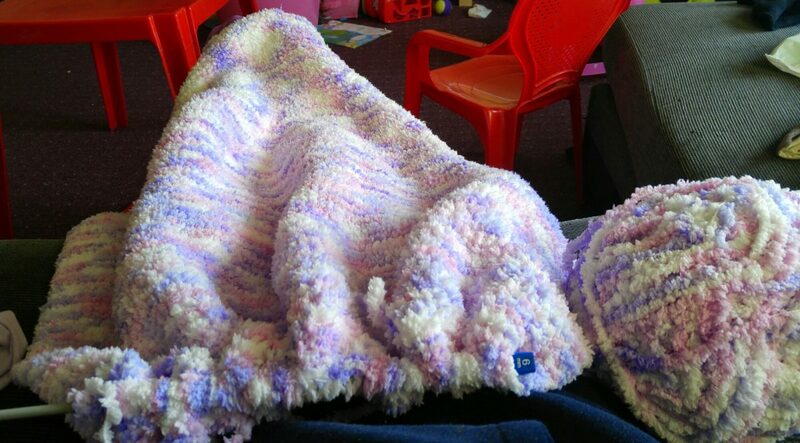 It has 2 large pockets and several smaller pockets. He absolutely loves it as he can cram tons of shopping in there. He regularly manages to carry an impressive amount of shopping back from town! There are 2 large zip up pockets, both with inner pockets. One inner pocket is A4 size with cushioning allowing you to keep documents etc flat and uncreased. The smaller pocket of the two has a few little pockets inside and a clip. On the sides there are two mesh side pockets which he usually stores sunglasses and a drink in.Lastly there is a small front pocket he puts his keys in for easy access. The shoulder pads and back of the bag itself is well padded. It also has a carry handle and a chest strap. Needless to say this is pretty damn impressive for a pretty regular sized backpack to carry those kinds of weights so often and last for so long & unfortunately after a lot of use and abuse this beloved backpack (AKA Mary Poppins bag) is beginning to die. The shoulder strap is slowly coming lose and the cats have used it as a scratching post several times leaving a nice long rip along the bottom, he refuses to let it rest as we have searched high and low for an exact copy! This is where you my lovely readers come in.. I would absolutely love to find him either this exact backpack or a very very similar one. 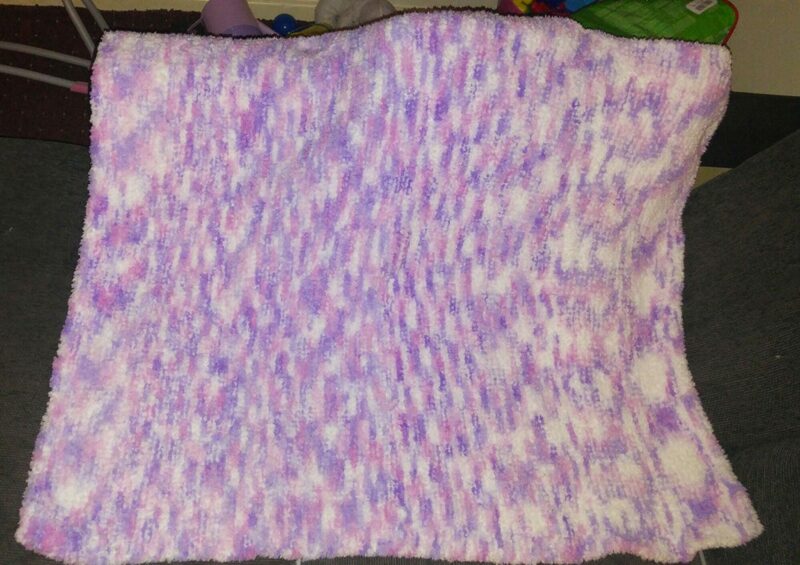 I have spent hours searching and unfortunately he finds most of the new surfanic designs quite garish and would much rather find something closer to what he already has. Has anyone spotted one of these in a shop? On a website? Do you or a family member have one in very good condition hidden away somewhere you would be willing to sell? If anyone does have any information please leave a comment or contact me using the Get in touch page. Any help at all will be greatly appreciated!! This week has been absolutely crazy but I’m feeling good. We finally saved enough Amazon credit from Surveys to order the girls beds for Christmas after working hard on surveys the last few months between us. It turns out we ordered just in time as we managed to get the last one before the bed was discontinued! HUGE sigh of relief as it’s something I had been panicking over constantly. In fact I’ve been panicking so much the Mr waited to tell me until he had confirmation from the seller of the date and time of delivery and that they definately had one in stock for us before telling me it was being discontinued and we had the last one! We have really struggled financially over the last few years and christmas is always a last minute rush & extremely stressful. Luckily our money has been back in place a few weeks so we’ve slowly managed to clear the bills that were building up and this week we have had a little bit of spare money to get the girls some presents. This is the earliest we’ve ever done our christmas shopping so it feels like a great achievment and a huge weight off of our shoulders. I had already bought a few presents for Eva over the last few months but we also managed to get a good few items from their ‘I want’s’ Christmas wish list’s (Thanks tiny pop & youtube!) today and plan to get a few more bits as we can over the last few weeks leading up to christmas! I still need to finish off their christmas eve sacks with PJ’s, slippers, and a christmas story. (Feel free to offer any recommendations). I also need to buy Eva a shopkins playset from Izzy as I managed to a get peppa pig playset in morrisons today from Eva to Izzy. I ache like crazy, Ive had several meltdowns across the week BUT sitting and wrapping the girls presents and watching the pile grow knowing how excited they will be and the joy as they discover what lies beneath the paper christmas morning make it worth it. I can’t wait until christmas day & knowing that in the last week leading up to christmas I can sit back and relax playing with my girls, getting them excited with christmas crafts, songs & films without rushing around panicking last minute is the reason im sitting here with a smile on my face. I recently signed up to SuperSavvyMe and applied to test the Ambi Pur 3Volution Vanilla latte plugin. Out of over 15,000 applicants, 5000 were chosen to take part and I was one of them! I was quite excited when I got my email confirming I would be receiving my delivery soon. There was even more excitement when literally a few hours later the parcel arrived! Inside the box, I found a SavvyCircle bag. This was instantly swiped by Izzy to carry her toys around in. Safe to say I wont be seeing that again any time soon! Inside the bag, was the Ambi Pur 3Volution Vanilla Latte Plug in & my welcome pack. 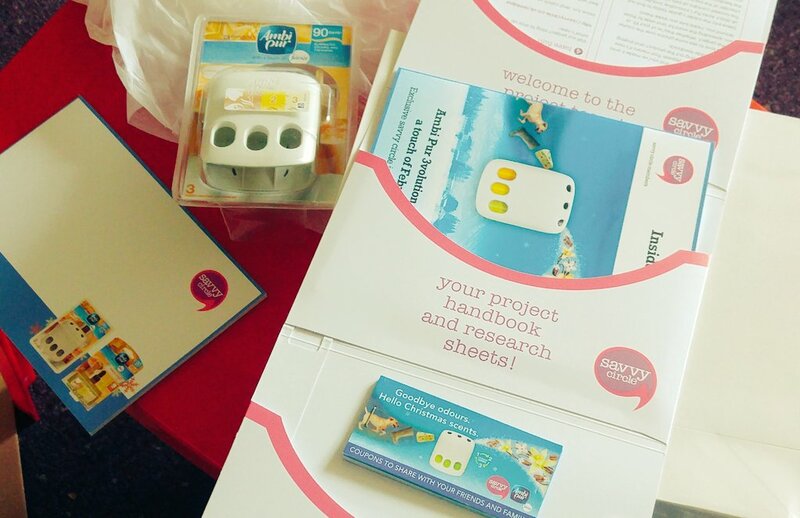 This contained a guide to the project packed full of tips to spread the word, a booklet of research sheets. Inside, there was also a booklet containing 15x £2 Off Ambi Pur 3Volution plugin vouchers and 10x £1 Off Ambi Our 3Volution Refills. Of course, I excitedly opened up the packet straight away. I unscrewed the caps on the refills and pushed them in first. Then, I plugged it into my hallway socket straight away! Yes, I genuinely do get excited about trying out new things. I squeal like a child and HAVE to play with them instantly. I started off on minimum, wanting to see how it worked and how strong the scent was for each setting. It’s not the ugliest plug in out there but it is quite plain. After a few hours on minimum which was quite pleasant I tried it on maximum but found it far too strong. The Vanilla Latte aroma definately beats the mixed smells from neighbouring flats and any scent the cats have decided to leave by the door! Ive left it plugged in for over the christmas period and hopefully as it is near my front door anyone that visits will notice the pleasant scent of Vanilla latte or spot the plug in itself. Either way I will make sure to bring it up and see what people think about it. To spread the word, I’ve already told my friend Charlotte about it. She loves stuff like this. She is first in line for a voucher or 2 to test one out! I have to say after just a day its made my flat smell gorgeous! I cant wait to see what our friends think of it and I’m quite tempted to get one for each room! Any other SavvyCircle members blogging about their Ambi Pur 3volution? 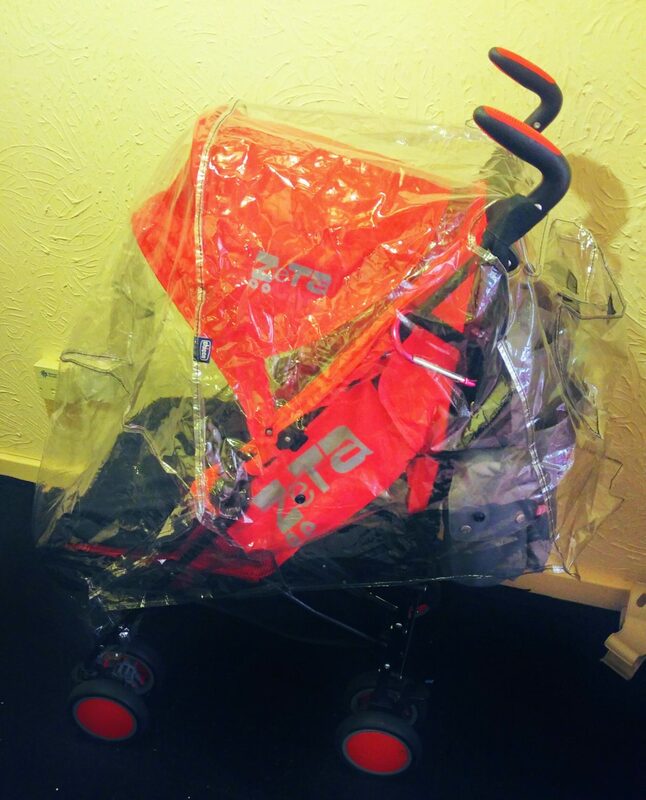 I discovered the Chicco deluxe rain cover for strollers after I bought a cheap second-hand stroller prior to ordering the Zeta Citi Stroller. It didn’t have a rain cover and as I knew the stroller was a temporary one, I didn’t want to buy the matching rain cover. Instead, I opted to buy a universal one. The Mr and I decided to head to lakeside one day to find one and came across 2 in Boots we liked the look of. One had no pockets and looked quite thin. The Chicco Deluxe rain cover was thick, had a pocket on the back and mesh sides to let air in. I love this as it stops the rain cover steaming up on the inside when it rains. It also stated that it fits most strollers. Surprisingly the Chicco one was cheaper costing only £10 at the time, it seems the price has gone up to £15 since but I am sure I recall it being on offer at the times and receiving double points too. Covers the changing bag nicely too! We’ve had the rain cover around 6 months now, it fits both strollers perfectly. Unlike previous rain covers I’ve had, it hasn’t torn even with Izzy repeatedly trying to kick it. Personally, I think even at £15 it is well worth paying out for if you are looking for a really good universal rain cover. Admittedly, the storage bag it came with ripped easily after a few times of use but that has happened with most storage bags I’ve had. Overall the rain cover fits really well on my stroller and the pocket is so handy. Definitely well worth the money in my opinion! I did attempt to take a few more photo’s for this post but unfortunately, Izzy wouldn’t allow me to. Unfortunately I’m all out of bribes right now, sorry for the inconvenience!